Do you also want to know how to play Bet9ja? We thought so! 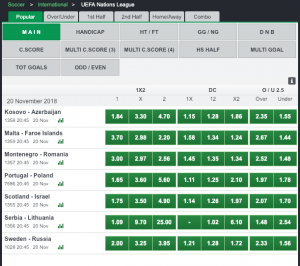 That’s why we created this awesome guide on how to sign up, register and play Bet9ja. It’s a fantastic way to explore the fun of betting on your mobile phone. So you have made the decision to open your Bet9ja account (If you don’t have one, open one here). The first step is to fill your details in. Details to open an account includes your email address and if you have a promotion code. If not, click NO as an option. Later when you sign up, you will have to register more details. When you have finished with registering your account. 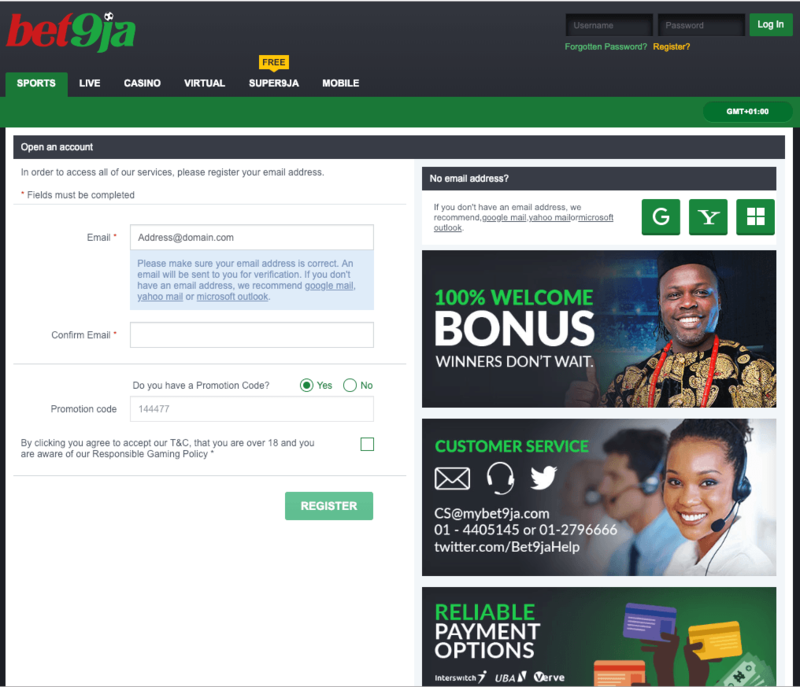 You want to play on your new Bet9ja account online! Mobybets.com always recommends the fast and easy way to play and bet online with your mobile! You can, of course, use the desktop site. The first step is to research a good bet! When you find on that you think is good, you choose the team (or the player) you want to win. 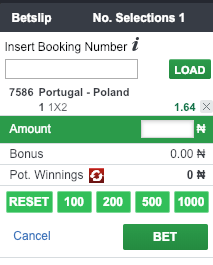 Fill in the amount you want to play for, and click BET. You will see the calculated winnings (should your bet win). You can also cancel your play by clicking on the Cancel button. Are you a soccer (football) fan? If so, you might want to play on soccer with your new account. If you are unsure how to, we will show you in a few easy steps! First you need to make sure you choose a soccer game to play on. If you like to watch National Teams, or Soccer Leagues like Premier League or La Liga, you should look at all the available options. Say for example you want to place a bet on Arsenal vs. Manchester United you should go to the section for Premier League. You will find this section on the left-hand side. When you have chosen the match you want to play on, select it and it will appear on your betslip. Do the steps mentioned above and you will have played on soccer! 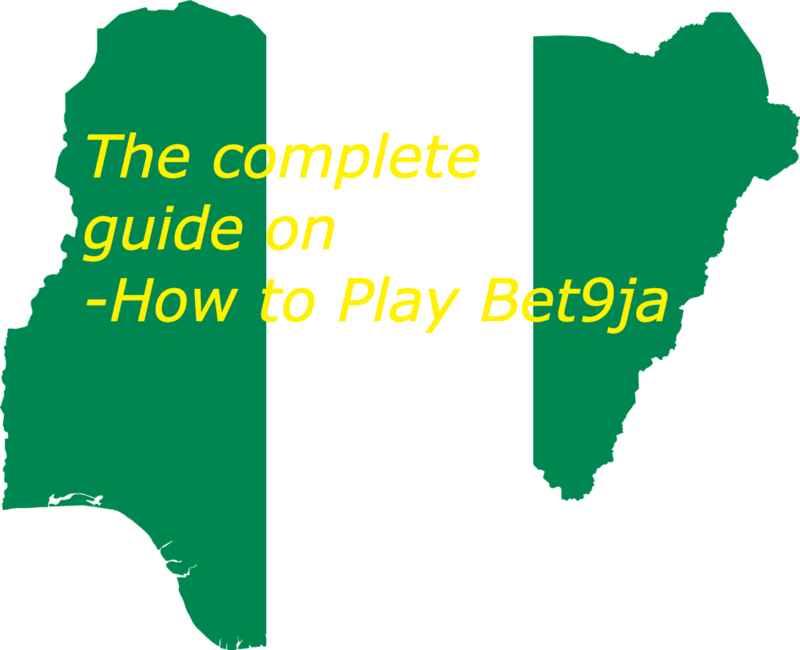 We hope that you have enjoyed this guide on bet9ja how to play! If there’s anything you are wondering about, please contact us on our Contact page.